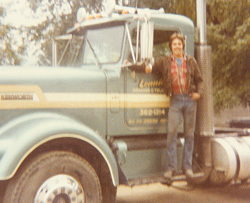 In 1978, I owned and operated a Kenworth truck and trailer, hauling sand and gravel. Consequently, keeping the truck clean was a constant chore. Nevertheless I believed having a clean truck was a top priority and like many drivers, I devoted a lot of time and attention to keeping my truck shining. One day, I decided to dress up the “ugly cast wheels” on my Kenworth. I grabbed some sheet metal, headed into my shop and cut and formed some wheel covers that I then had chromed. I admit that the first wheel covers were pretty crude, but they really improved the look of my truck. In fact, the look was so dramatic that other truckers and operators started asking where I got them. It wasn’t long before my wife Sherri and I started manufacturing and marketing wheel covers out of our home. I hauled during the day and made wheel covers at night. The demand was exceptional and soon we moved the operation to a 2,500 sq. ft. industrial building. 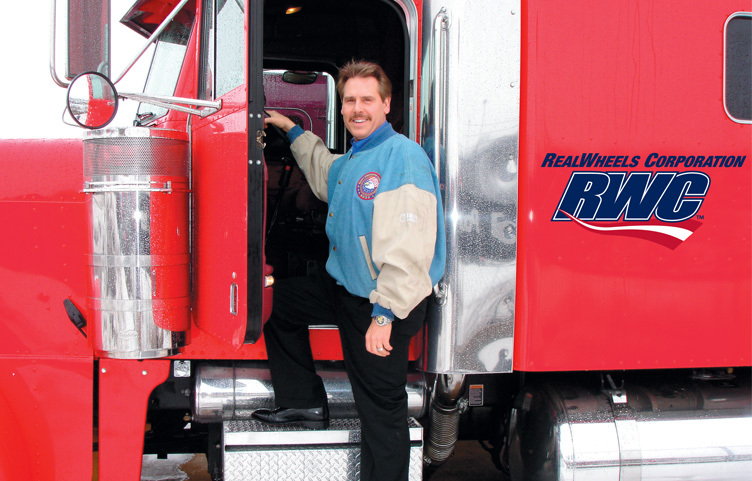 With the help of my wife and father, the business flourished and the product line expanded. Today, I am proud to say that RealWheels is the only U.S. manufacturer of these products and thrives in a nearly 40,000 sq. ft. facility with a team of 60 employees offering hundreds of products. Our main focus remains consistent—to offer high-quality, products at an affordable price. One further important note: 99% of our products are proudly made right here in America! As always, we appreciate your business and any suggestions you may wish to offer. If you have any questions, please contact us.